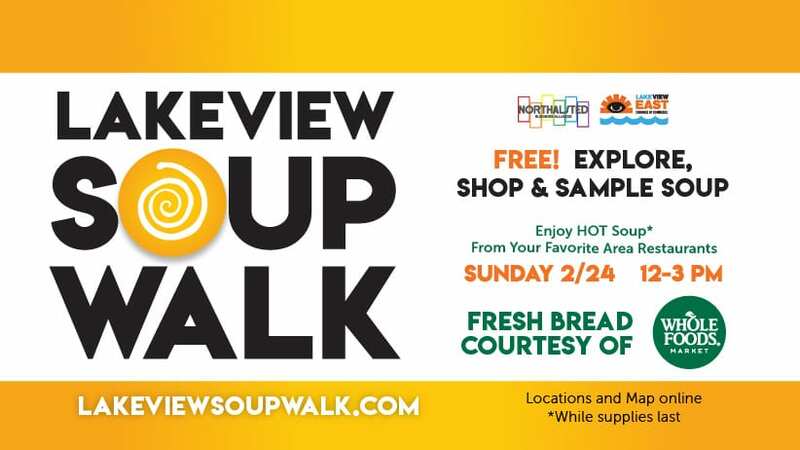 The 5th annual Lakeview Soup Walk, Sunday February 24, 2019, 12-3pm is a neighborhood celebration of restaurant soups paired with sampling at retail locations. FREE to participate! On this heart-healthy walking tour, participants visit the shops of Chicago’s Lakeview while tasting hot soups along the way. Featuring fresh baked bread, courtesy of Whole Foods Market at Halsted & Waveland.